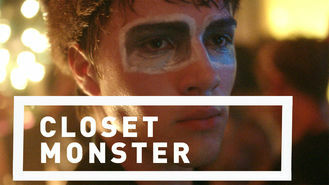 Looking to watch Closet Monster tonight? A gay teen who dreams of becoming a special-effects makeup artist struggles with his sexuality, traumatized by a hate crime he witnessed as a child. He's drawn to a handsome new friend. But a dark past and a dysfunctional family keep messing with his head.